© 2016 by Fabio Fernandes. As Gregor Samsa awoke one morning from uneasy dreams he found himself in his bed. He hadn’t been transformed into a gigantic insect. Disappointed, the small velociraptor started to weep. And braced himself to enter dreamtime again. Samsa was a member of that elusive caste known as the Oneironauts. Dream travelers—people who, since the dawn of time, were able to master their dreams and bend them at their will. For them, dreamscapes could be the doors to alternate realities. Most of these places could be accessed at will by them; some, not so easily. And even fewer could be tampered with. Samsa was one of the few who could travel to other realities with his mind and become one with them. He already had done so many times, like that series of nightly oneiric escapades that came to be known to his Oneironaut sisters and brothers as his Jurassic Dreams. That was when he woke up as a man-sized beetle. But that wasn’t so easy. Somewhere along the oneiric corridors, Samsa had lost his original body. Now he was trying to swap it back. Not an easy task, though. When weaving through the dreamways, an Oneironaut must be on alert at all times, lest she be swept by the undercurrents and lose herself in memories, dreams, reflections. For it is one thing to change bodies, another (no less frequent and no less dangerous) to swap minds. Fortunately this hadn’t happened to Samsa. Not that he could totally control it. He should know better, though; the Oneironauts scanned the dreamways in search of potential criminals, people who used their skills for personal gain and risked destroying the fabric of all realities. So, as Gregor Samsa awoke one morning from uneasy dreams, he found himself transformed in his bed into a small dinosaur. This isn’t it, he thought. It took him half a dozen attempts until he got back his tall, dark-eyed, high-cheekboned, rail-thin, emaciated, and thoroughly comfortable body. That would really be fine if it wasn’t for one small matter. So, as Josef K. awoke one morning from uneasy dreams, he found himself in the body of another man. He was promptly arrested and put to trial. He never knew why. Fabio Fernandes lives in São Paulo, Brazil. 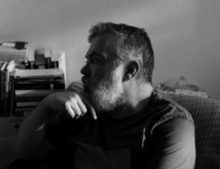 He has published two books so far, an essay on William Gibson’s fiction, A Construção do Imaginário Cyber, and a cyberpunk novel, Os Dias da Peste (both in Portuguese). Also a translator, he is responsible for the translation to Brazilian Portuguese of several SF novels, including Neuromancer, Snow Crash, and A Clockwork Orange. His short stories have been published online in Brazil, Portugal, Romania, the UK, New Zealand, and USA, and also in Steampunk II: Steampunk Reloaded, Southern Fried Weirdness: Reconstruction, The Apex Book of World SF, Vol 2, Stories for Chip. Co-edited (with Djibril al-Ayad) the postcolonialist anthology We See a Different Frontier. Graduate of Clarion West, class of 2013.